Welcome to The Original Nana’s Farmhouse! 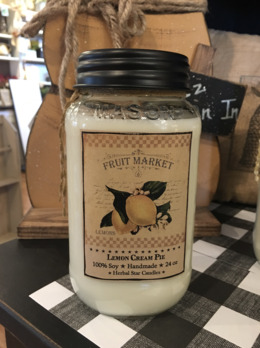 You'll find the best Farmhouse Style, Rustic Home Decor and Country Living! You can shop with confidence knowing this site is a secure place to find your next treasure. 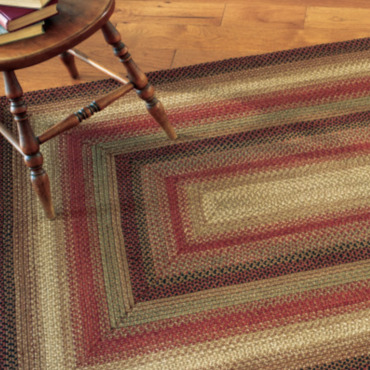 We blend the touches of Colonial, the coziness of Country and the simplicity of Primitive. 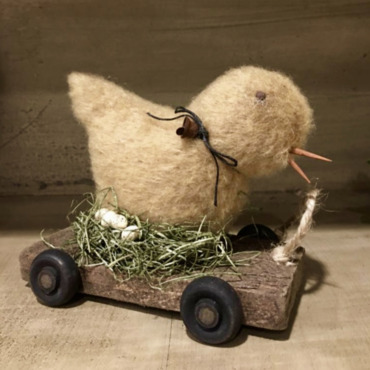 Come see the beautiful handmades from over 30 artisans that bring your visions to life. 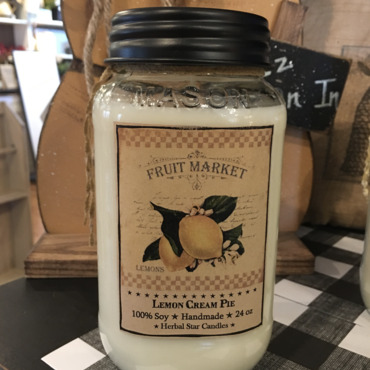 If you love the old and the new, delicious scents and heirlooms you’ll know that you’ve come “home!” Our friendly staff is here to help you create your cozy place…whether you live in a subdivision, a condo or a fixer upper! Old fashioned service… with a smile. Our customers tell us they love our timeless merchandise and enjoy our relaxed shopping experience and thoughtful customer service! To learn more about us be sure to visit Our Story page or find out about our Special Events! Let us know how we can help (314) 846-NANA. The Kirby's Mill by Bonnie Fisher comes in size 16 x 16. It has a lightly distressed frame, black with stained edges, no glass. 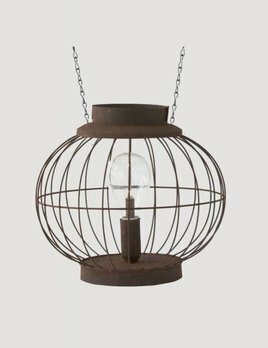 This item ships from our supplier in 2 to 3 weeks in the continental United States. You'll love the Pennsylvania Fan Back Arm Chair (Shield Seat) because it's built like it was two hundred years ago by Lawrence Crouse and his son, Abe. They use four different types of wood: Hickory, steamed white oak, Hard Maple & Poplar or Pine. 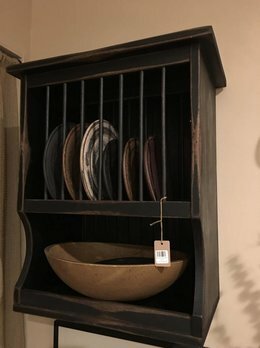 This Wooden Plate Shelf is a timeless addition to a Primitive or Farmhouse kitchen. Made of solid wood in Pennsylvania, USA, this will be a treasured keepsake for years. It's great for storing plates, new or old, & has a shelf below for a special item. Add the stylish look of the Crimped Canisters to your farmhouse kitchen! 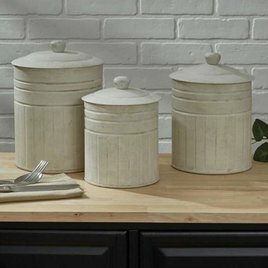 The 3 canisters offer great storage with an antiqued finish. 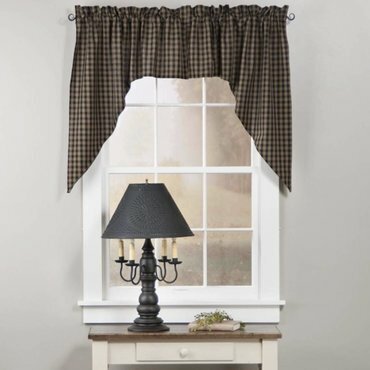 Sawyer Mill Short Panel set of 2 is a large-scale black plaid on a dark tan background. Lined with white cotton. 100% cotton. 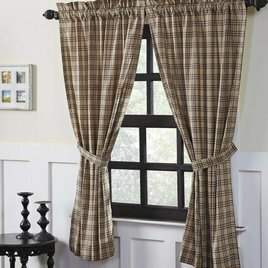 Includes 2 panels, each 63" long including the 2" header by 36" wide. Features a 3.25" rod pocket. Includes 2 matching tie-backs. 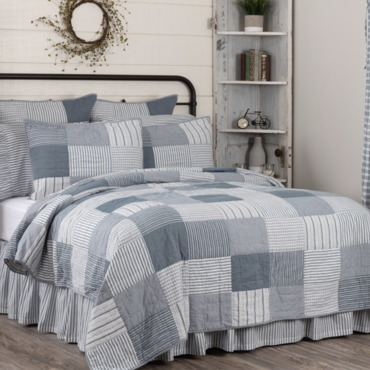 The Sawyer Mill Bedding & Quilt Collection has a simple block pattern in various plaid and stripes. This cozy quilt is ash grey, creme, & black 100% cotton and echo hand-quilted for years of enjoyment. 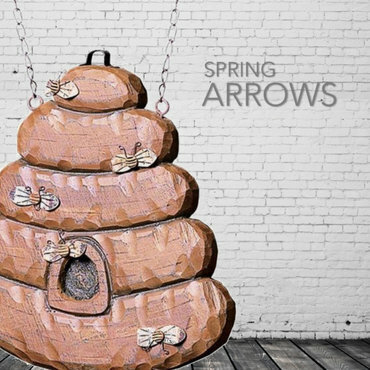 Reverses to dark creme & charcoal grain sack stripes. Add this Rustic Utensil Crock to your country kitchen! A stylish way to display your spoons, spatulas and much more. This Metal Basket on Stand is rustic, beautiful and functional! Perfect for everyday and for your family get-togethers. Measures 13" H x 16 3/4" W x 10 1/4" D. Matches up with separately sold 2 Tier Metal Basket on Stand. 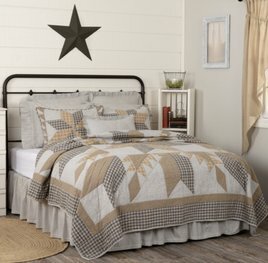 The Burlap Antique White Star King Coverlet takes a clean, light, antique white to create a versatile, farmhouse look. This coverlet features soft cotton antique white burlap for a great layering piece with double-layered, appliqued burlap stars. 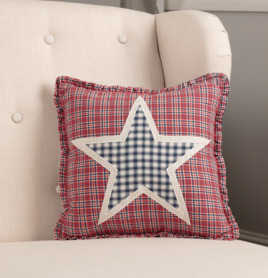 The Dakota Star Farmhouse Blue Quilt will refresh your country home with warm, relaxing colors, & beautifully textured patchwork. 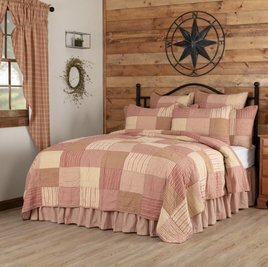 This quilt features warm, vintage colored patchwork in plaids & solids showcasing a classic broken star layout. 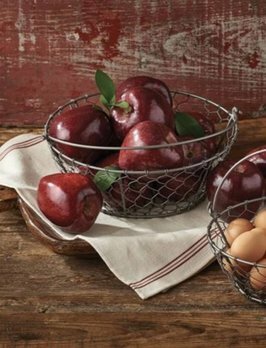 The large Chicken Wire Basket is a great to use for displaying your favorite fruit or to organize a family gathering. 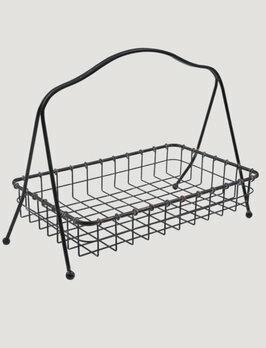 This metal basket features a metal handle. Bring a rustic touch to your kitchen today. 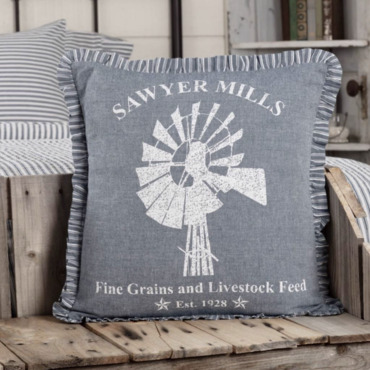 The ALL-NEW Sawyer Mill Red Farmhouse Living Pillow adds to your stylish home. The Living Pillow features stenciled chicken with farmhouse living above and below it. Join the fight and help us raise funds for families in the battle against cancer & other women's gynecological cancers. 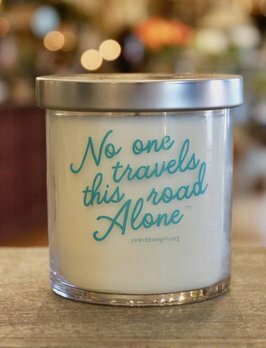 When you purchase this Honeysuckle fragrance from Nana's Farmhouse & K. Hall Studios 100% of the $20 supports PINK RIBBON GIRLS! NEW ARRIVAL! 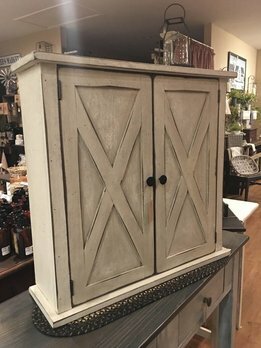 This Farmhouse Barn Door Wall Cabinet is a beautiful addition to your country home! 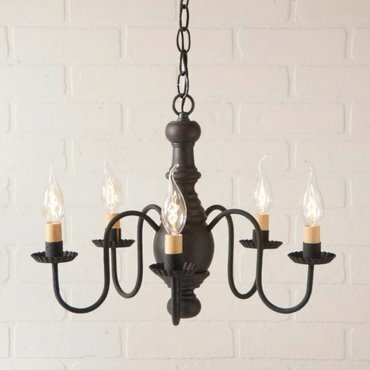 Hang this in a bathroom, entry or bedroom and gain great storage, along with farmhouse style! 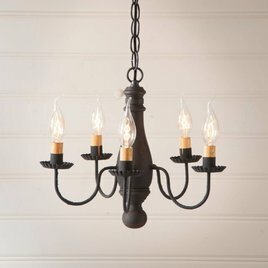 Antique White finish. 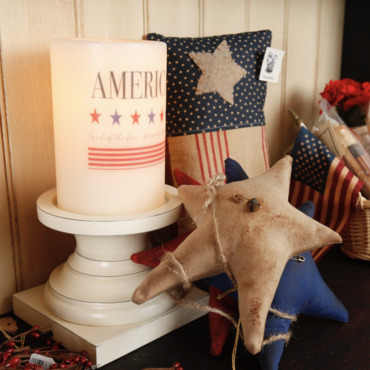 Made of solid wood in the USA!